A driver suffered minor injuries after her Ford Escape rolled after striking a guardrail Thursday morning. 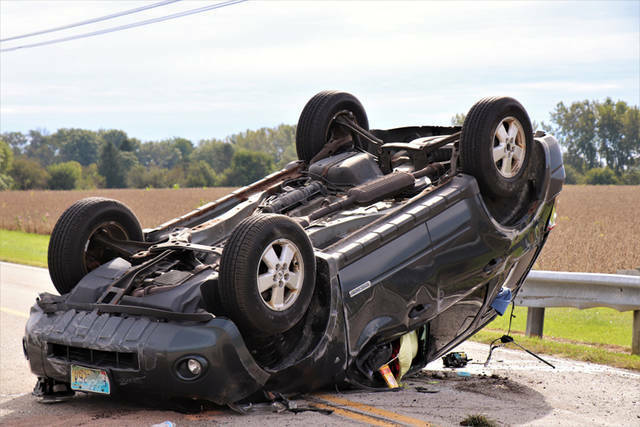 DARKE COUNTY – A driver sustained injuries Thursday morning after being involved in a rollover accident. At approximately 10:15 a.m. Thursday, emergency personnel from the New Madison Fire Department and Tri-Village Rescue along with deputies from the Darke County Sheriff’s Department were dispatched to the 5200 block of Hollansburg Arcanum Road in reference to a single vehicle accident with injuries. Upon arrival crews found a single SUV on its top in the center of the roadway. According to the Darke County Sheriff’s Department, preliminary investigations revealed a black Ford Escape was traveling eastbound on Hollansburg Arcanum Road when the female driver, and sole occupant of the vehicle, drifted off the right side of the roadway, making contact with a guardrail. She then over-corrected, causing the vehicle to roll before coming to rest on its top in the middle of the roadway. 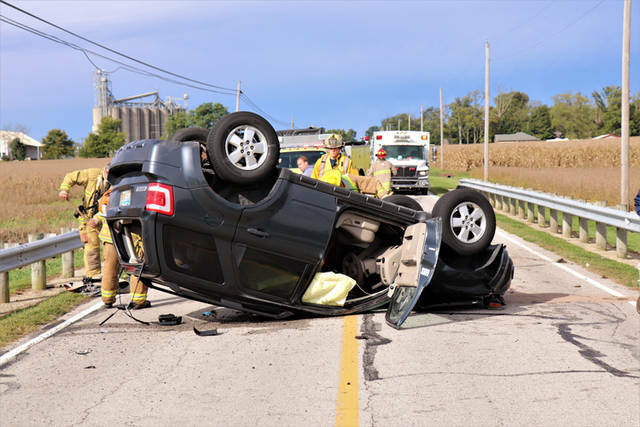 The driver was able to climb from the vehicle under her own strength before being treated on the scene for minor injuries and being transported to Wayne Healthcare by Arcanum Rescue. Both lanes of travel were closed for a short period of time while clean up took place and the vehicle removed. 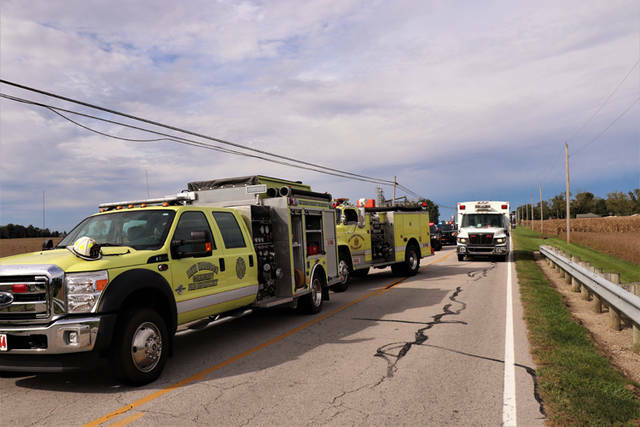 This entry was tagged crash, Darke County Sheriff’s Department, New Madison Fire Department, Tri-Village Rescue, Wayne HealthCare. Bookmark the permalink.